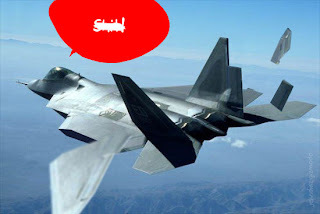 According to a just-released Air Combat Command report, 30 of the F-22A Raptors delivered by Lockheed Martin use "inadequate adhesive" in their airframes. That means two things in plain language: bad glue; and big trouble. The report comes after investigators finished looking into an accident that happened last November. Part of the airframe of a F-22A fell off into the engine intake, causing a whopping $1.2 million of damage.